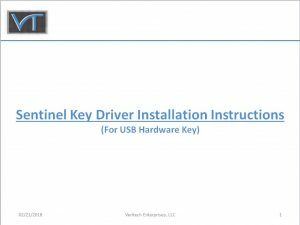 Your CEDAS, CEM PE or CEM SE installation should be fine, however you will need to perform a complete uninstall of the previous Sentinel Key Driver version from your computer, using the “Add or Remove Programs” function. When the uninstall is complete, if the computer does not automatically restart, please do a manual restart at this time. Important: Ensure that your hardware key is not installed in your computer or server until STEP 13, to prevent installation failures.